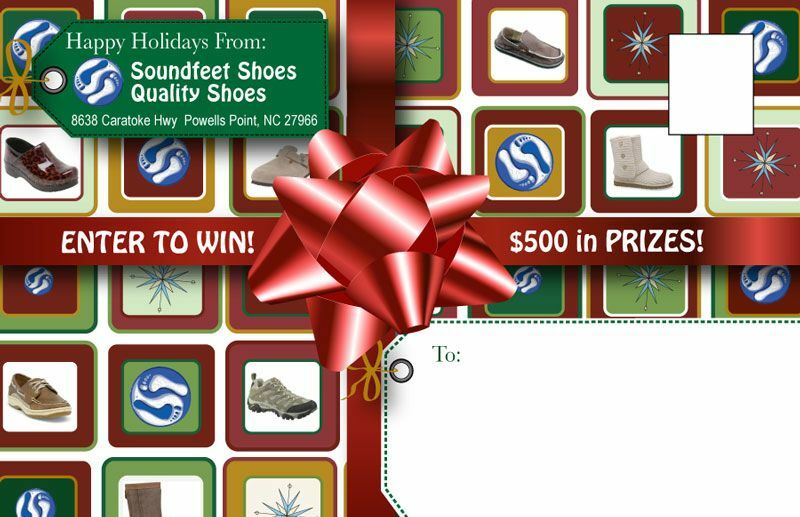 Soundfeet Shoes came to us to help them develop a Christmas postcard mailer to send out every year to their customers from the past year with thank you coupons and a chance to win $500 in prizes. We went with a fun and exciting holiday-themed postcard that looked like you were receiving a christmas gift in the mail. They used this same layout year after year with minor modifications to the shoe images on the front and text on the back. Every year their customers looked forward to seeing this brightly colored postcard in their mail. We handled the entire campaign for them from the design/layout of the postcard, to the printing on a nice thick glossy stock, to the mailhouse services of printing the addresses on the cards, stamping and mailing out to their customers at the bulk reduced postage rate. 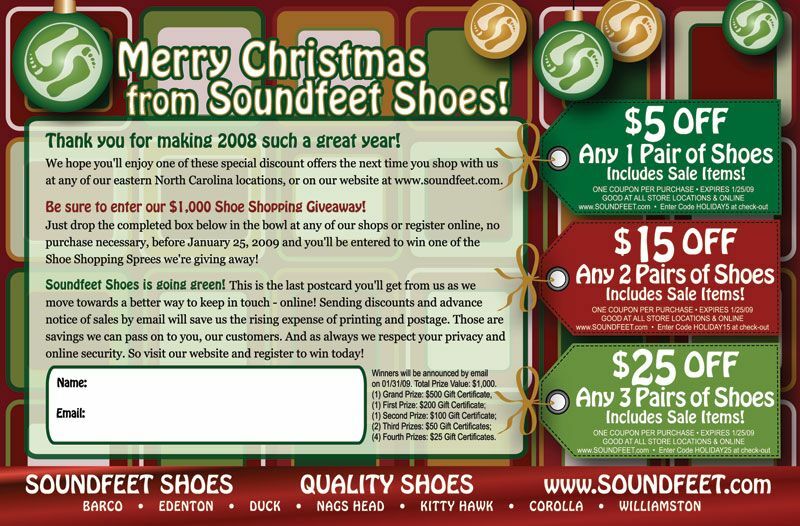 After several years of this highly successful postcard campaign, Soundfeet Shoes decided to transition into email marketing and now send out a very similar email to their customers that link directly back to their website where they can redeem the coupons.